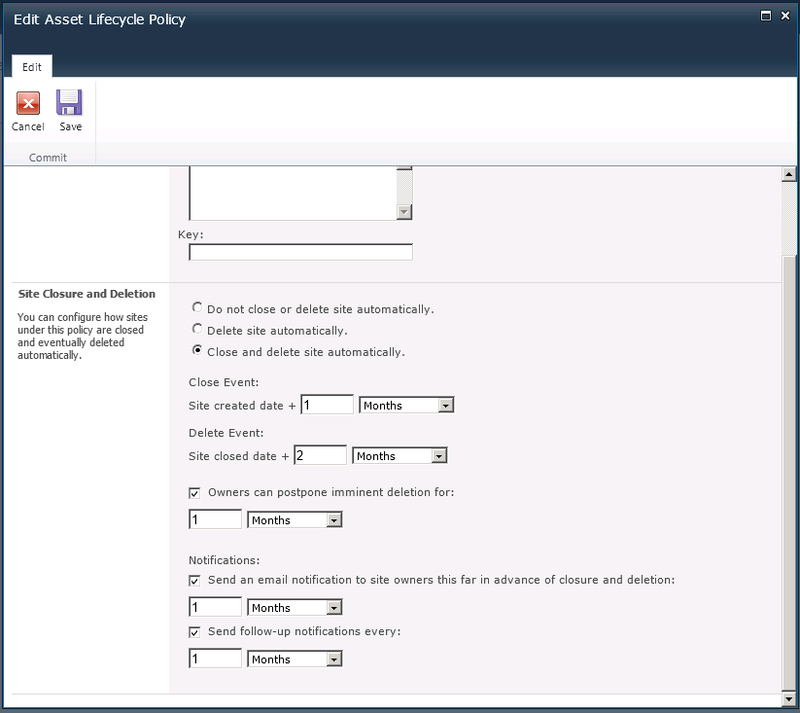 Today we’ve released a significant update to our Site Provisioning and Governance Assistant for SharePoint 2010 product. Prior to this release, SPGA was already a great tool for managing the process of requesting and creating new SharePoint 2010 sites. With the addition of these new site lifecycle management features, SPGA users can now manage the entire SharePoint 2010 site lifecycle from creation to expiration and decommissioning. 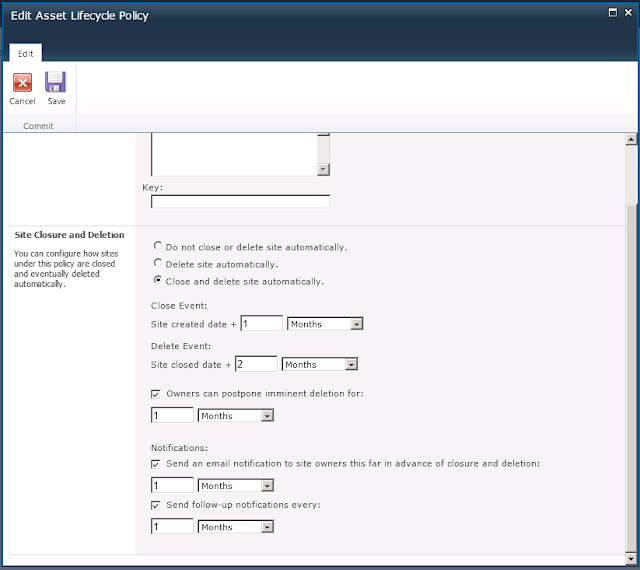 SPGA provides SharePoint 2010 site lifecycle management through the creation of Asset Lifecycle Policies. 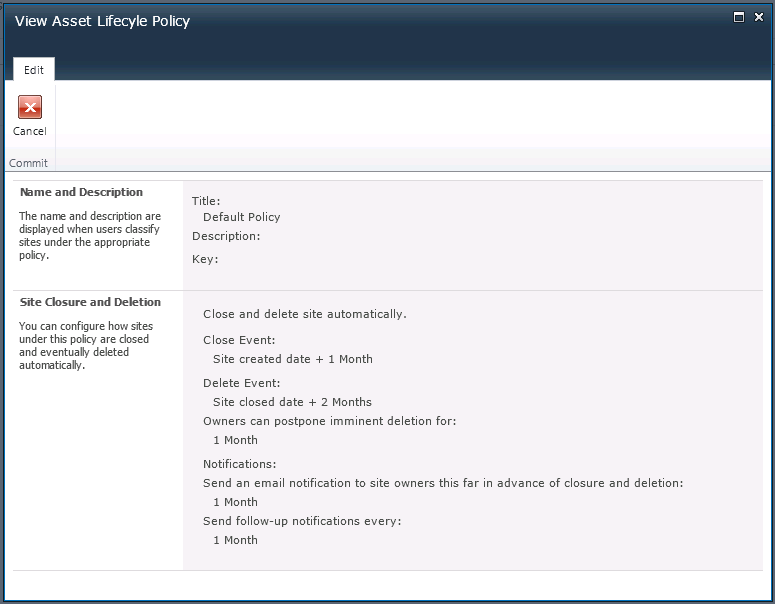 As you can see from the screen shots below, administrators are able to easily define site closure and expiration values in a few easy steps. To learn more and download the latest SPGA 2010 release, visit our Site Provisioning and Governance Assistant for SharePoint 2010 product page.